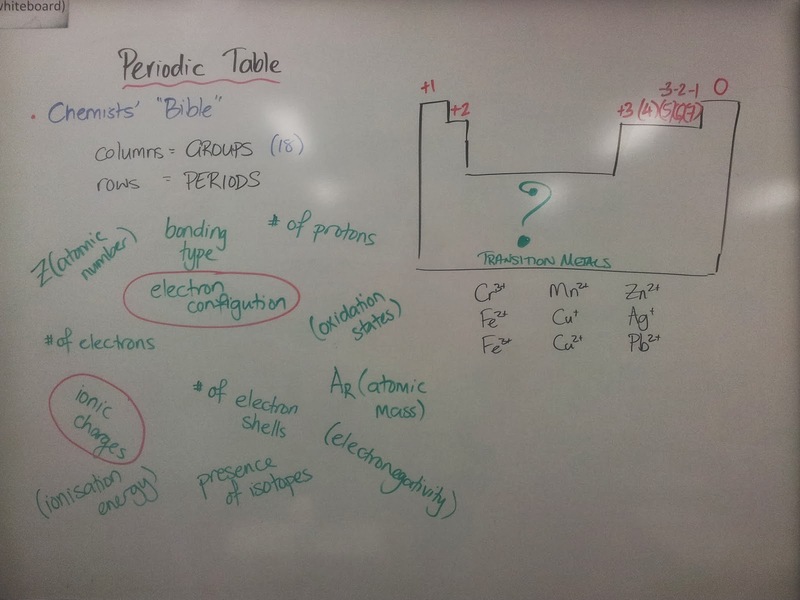 After all of the Administration, we learned about the Chemists' "Bible": The Periodic Table of Elements. If you know how to use the Periodic Table, it helps you know more about the elements without having to rote-learn lots of facts. One of the things we focused on was using the Groups (columns) to predict the valency of an element. There are some that we still need to learn, but the rules apply in most cases.